For a while, I am working on a project where I use WPF to its limits. 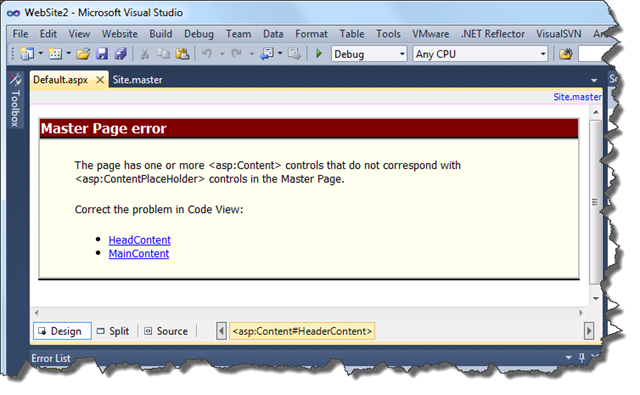 Unfortunately, Visual Studio has its limitations in rendering the stuff we do here. We started with Visual Studio 2005, without any native support for XAML in Visual Studio doing a lot of the work in Notepad2, using one CTP after another including Visual Studio 2008 Beta 2 up to the final version of Visual Studio 2008. Things became better over time, however, I wished simply to switch off the Design view in in Visual Studio. Hidden in the Visual Studio settings, there is this switch A hidden jewel for anybody working a lot with the WPF markup language in Visual Studio. This entry was posted in quick tips and tagged quick tips, visual studio on February 11, 2009 by andreas. If you are going to uninstall Visual Studio 2008 beta 2 due to the installation of the final version, you should have a look this post to make sure you haven’t missed anything during this procedure. This entry was posted in .net and tagged .net, visual studio on November 21, 2007 by andreas.